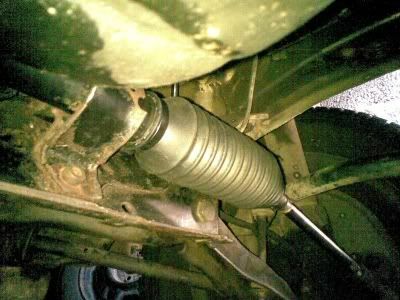 The first few days of 2012 saw Bess's re-shaped front exhaust downpipe fitted and finally deemed satisfactory. 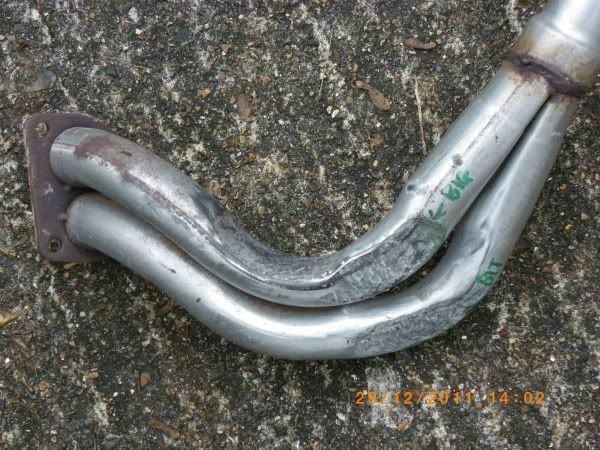 The final hammered-out form of the pipe is shown below. The early months of 2012 have seen Bess used as impeccably reliable everyday transport. 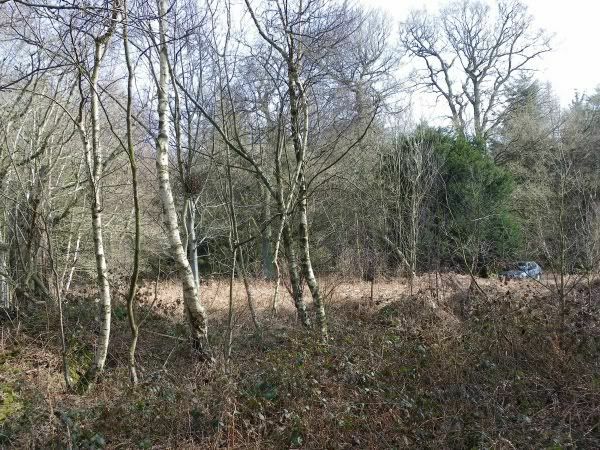 Some evocative pictures of her in the late-winter woodland scenery are shown below. Needless to say there's trouble brewing and its in the ignition switch which becomes increasingly unreliable, usually not allowing the engine to be switched off but also sometimes not allowing it to be started. 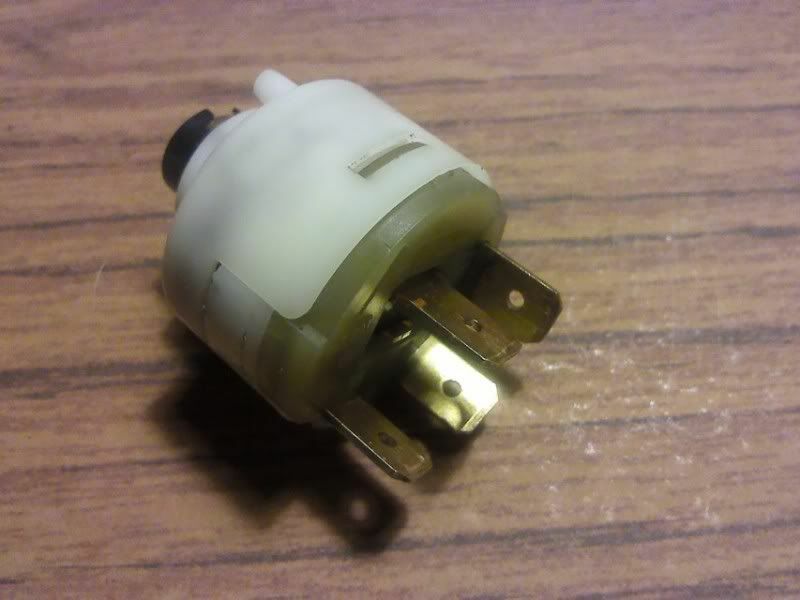 Hence the internal plastic unit at the back of the switch was removed and cleaned out as shown below. 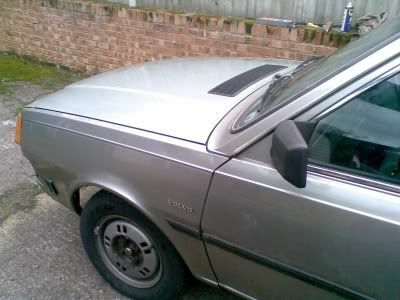 However this did not cure its unreliability and so a second-hand one was obtained and fitted which finally solved the problem in early May 2012. Finally, Bess is back on the road again to admire the early spring foliage. 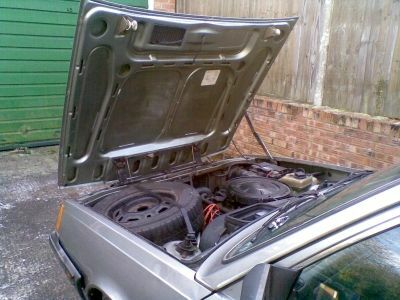 ....but it might not be for long since the ignition switch problems have, as of the middle of May 2012, returned. 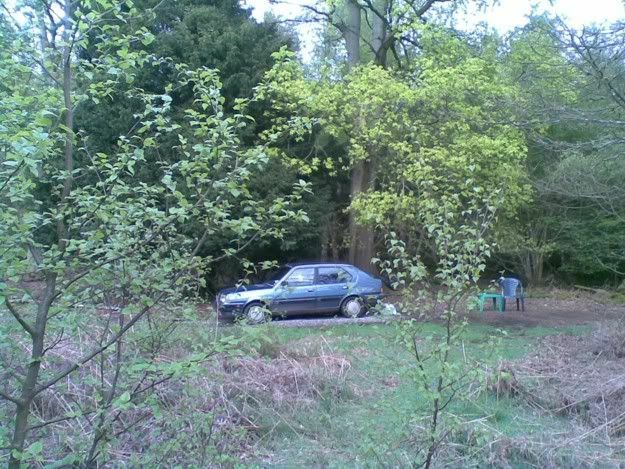 Early June 2012 has seen Bess's old ignition switch cut out with a dremel and a second-hand replacement fitted; a couple of spare keys cut and all is working fine again so Bess can get back into the spring scenery. But, to my utmost disbelief the problem returns. 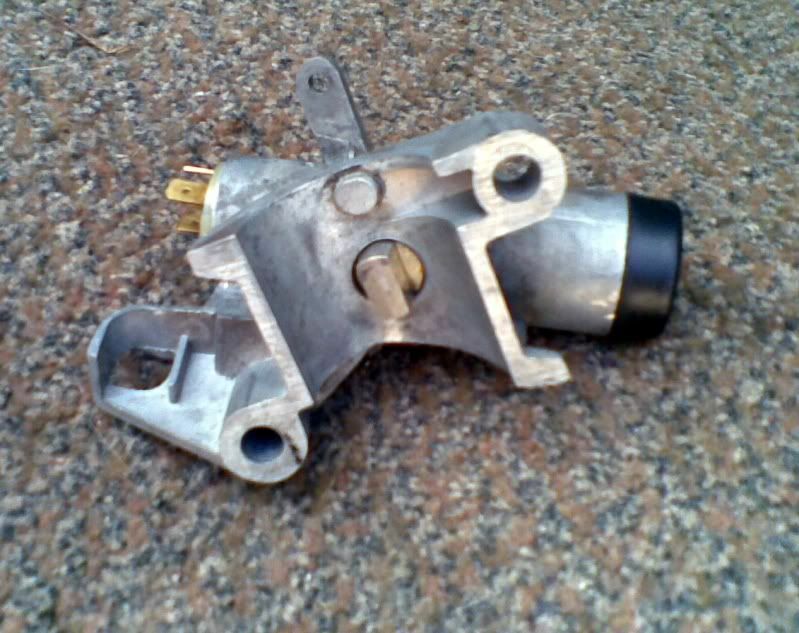 How can an ignition problem that is cured by tapping the ignition switch with a hammer be caused by anything other than a fault with the same said switch? But think, aren't there some relays clamped onto the steering column and perhaps one or two of these have something to do with the ignition? A quick look at the Haynes manual confirms my suspicions and a search through my heaps turns up a collection of spare relays. A look at the Haynes circuit diagram and a bit of relay swapping finally solves the problem and, as of early July, it has not returned. 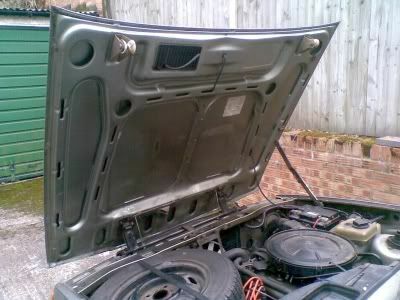 Now the challenge is on to return the car to its original glorious state of having one key which works everything (well, everything bar the petrol cap) so I am trying to find a workshop-type of person who can drill out the retaining peg in the ignition switch and allow me to swap the original barrel back into a functional ignition switch that can be popped back on the car. Workshop person found (Kesson of Malden Manor) and he successfully swaps the barrel on the old lock (which was working perfectly before I had wrecked the casing with the dremel) into a second-hand, undamaged casing and re-pins it. 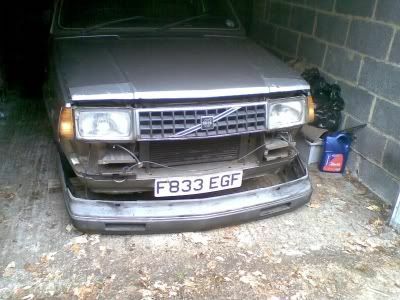 A straightforward swap onto the car in late July 2012 and all is working with abounding awesomeness again. The take-home message must always be: think relay!.... 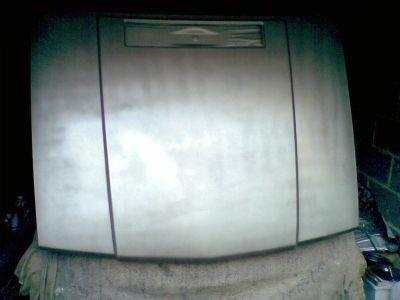 but this time there is an added bonus: the steering lock now works, as the prominently projecting piece of metal in the curved recess below will testify. A new set of few leads, distributor cap and rotor arm cures the occassional starting trouble and a few more weeks of driving the blue beastie confirms that all is going well so its time to turn my attention to the much-neglected, silver-grey 340 which needs some rust treatment and a bit of a spray here and there. 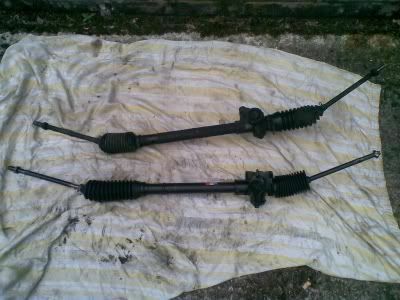 It also needs a new steering rack to cure the incurable stiffness of the steering. Work begins to fit a new front wing of the right colour procured for £1 a few years ago and to clear out the cylinders with generous doses of carb-cleaner and Redex sprayed or poured through the plug holes.... this is going to be done many times over to clean them out as much as possible. 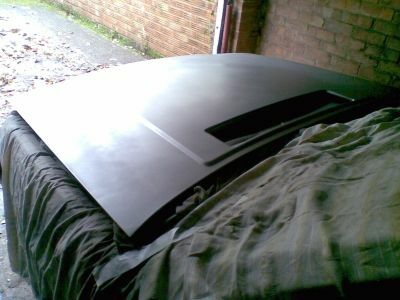 It will look great when its all done - just need to find another welder since 'my' local welding type-of-person has decided to retire. Work on Grey Bess continues through August 2012 with efforts to cure her dieseling problems which were traced eventually to a failure of the idle solenoid on the carburettor. 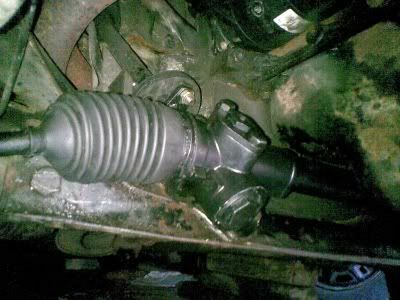 A new one has been ordered and the removal of the steering rack is in progress, hindered only by the rounding off of one of the Allen key-style bolts. This resists efforts to drill it out so it will have to be cut-off with the dremel. 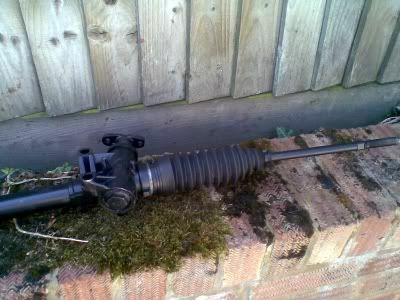 I think the refurbished steering rack is probably not going to fit as it lacks the T-bar fitting to the steering column. Early Sept 2012 sees the old rack removed and lined up with the new unit (see below). This reveals that the new one is not the right part and so a another new one has to be pocured from the great auction house of the internet. The new rack arrives (bottom right) and it looks like a better match to the old one so re-fitting it to the car commences. 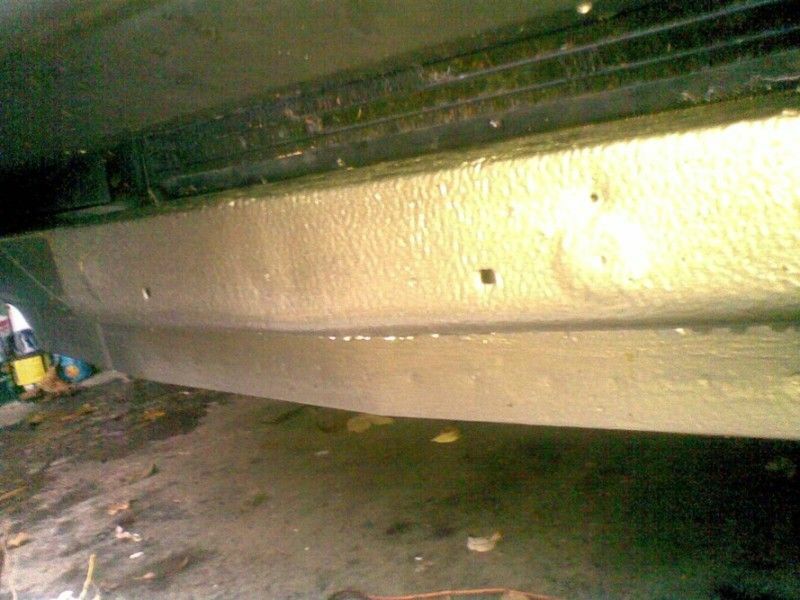 Mid-september 2012 has seen the new rack fitted to the car and the bolts torqued-up, as required, along with some waxoyling to the underside of the car. 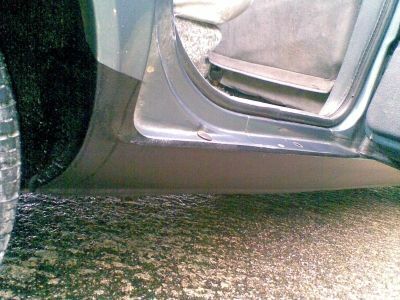 A quick test showed that the steering was lighter than before which is good news, and the car was returned to its hovel for wheel-alignment which converged after only two rounds of refinement. 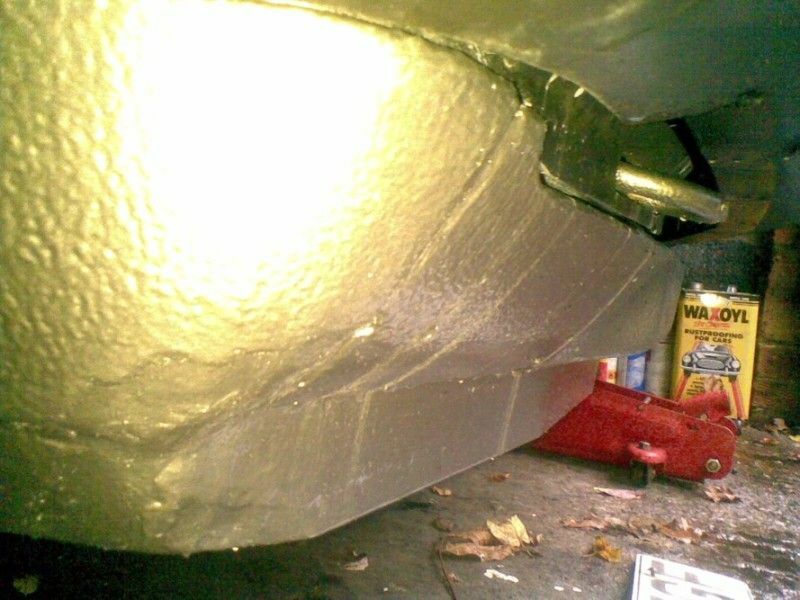 The heat-shield for the vibration damper on the steering column was refitted and the plan is to remove and refit the steering wheel so that it can be aligned correctly for the straight ahead position. Meanwhile, the blue basket-case is being used as everyday transport and is proving to be epically unreliable with ignition trouble, breaking down outside the house and refusing to come alive with the electric windows jammed open all night. 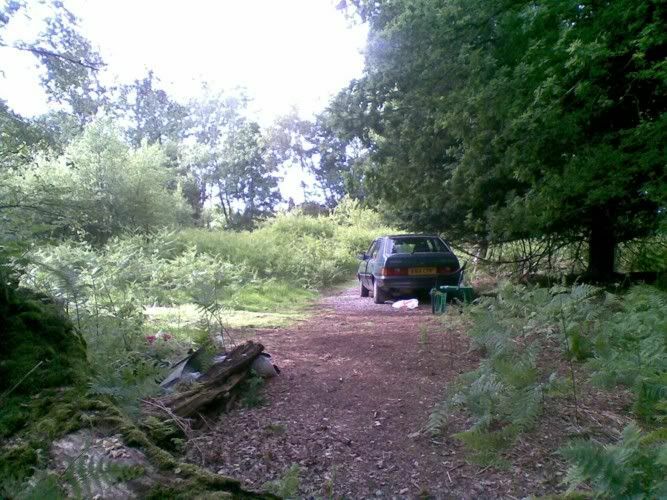 The garage cured this the following day, blaming poor connections at the fuse box, only for the problem to repeat itself the following weekend 25 miles from home, at night and in an area with no phone signal. 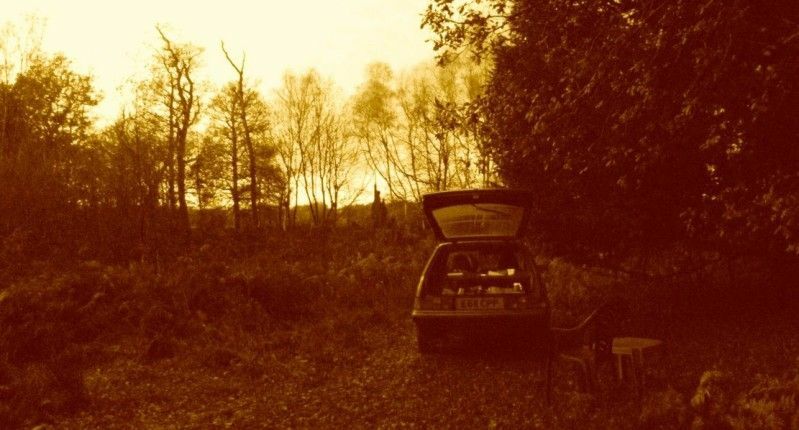 A bit of emergency relay-swapping by torch-light did not solve the problem so a mile-long walk to the nearest farmhouse allowed the AA to be called. 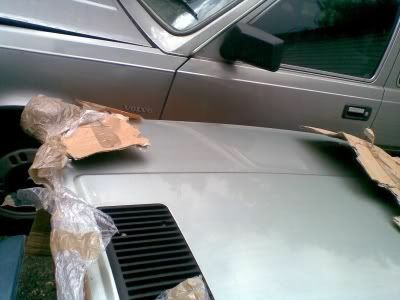 They then took something like two hours to send a sub-contractor who admittedly did an epic job of restarting the car which subsequently worked perfectly on the home-run, barring the fact only the side-lights would come on. 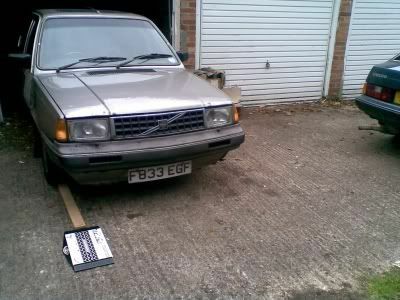 A nose around the volvo300mania website suggests that this problem is due to dodgy connections to the fuse-box under the dashboard and so these will be cleaned up over the coming days in an effort to make this motor more reliable. 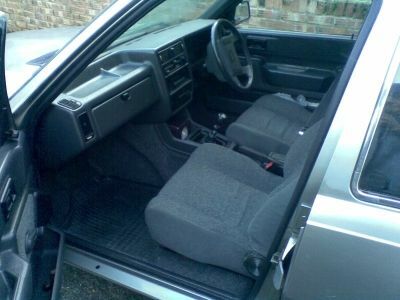 A spare hour was found to limbo into the drivers' footwell of the blue basket and remove the offending connectors from the back of the fuse box for a quick clean up with glass paper. 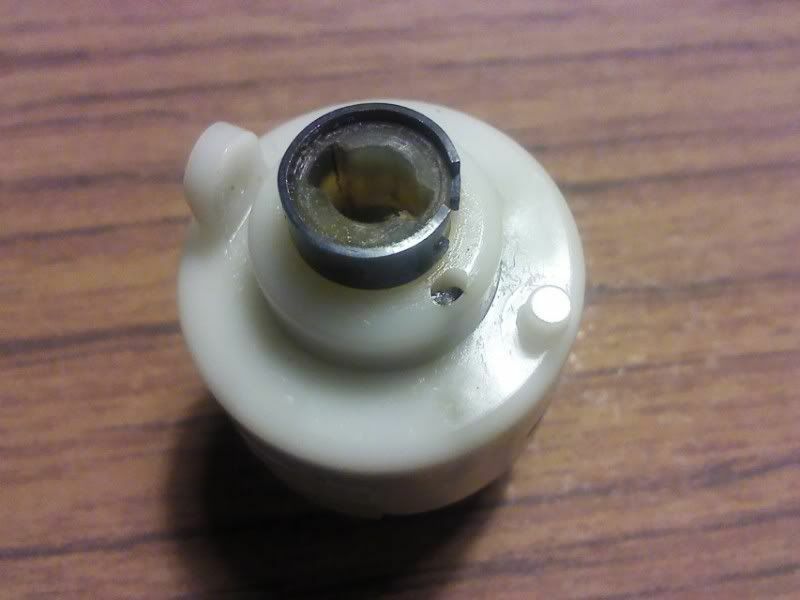 The brown connector (above) was found to have one terminal with badly tarnished contacts and slight evidence of molten plastic so extra care was taken to clean this one up. 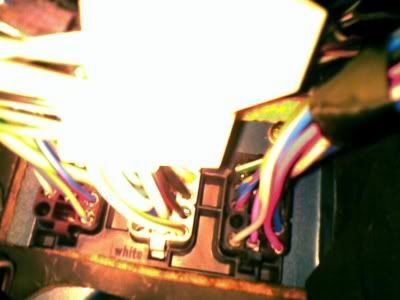 On reassembling everything and swapping back to the old relays, the ignition, lighting and other electrics were found to be working absolutely fine, so I am hoping that this was the source of all my electrical problems this year and that they have finally been cured. Famous last words. 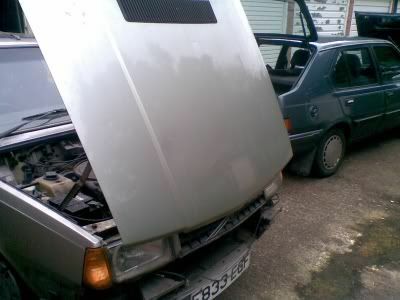 In late Sept 2012 Grey Bess's offendingly rusty nearside front wing is removed and in early Oct she goes to a previously untested welding type of person who does a brilliant job of her front valance, front nearside wheel-arch and offside sill and all for an epically reasonable price. 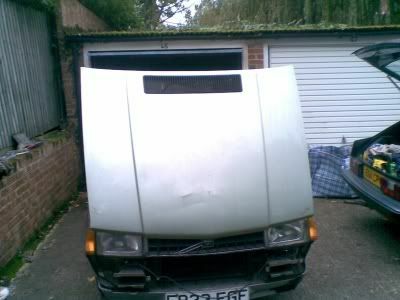 Some time is spent fitting a new and nearly perfect front wing which eventually clicks into place well enough without getting too badly dented. Finally, in late October 2012 a new bonnet (above) is sourced from Wolverhampton, via the great auction house of the internet and arrives well-packaged and in one piece. 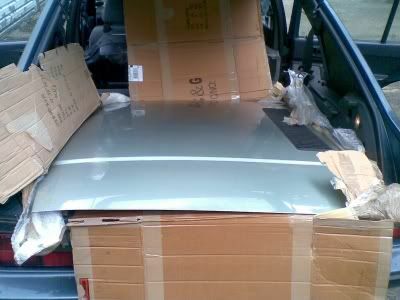 A quick glance establishes that it is not quite the right colour for the grey 340 being a bit on the greenish side of grey, but never mind because this new bonnet has a truly, really immaculate leading edge with no rust at all whatsoever. 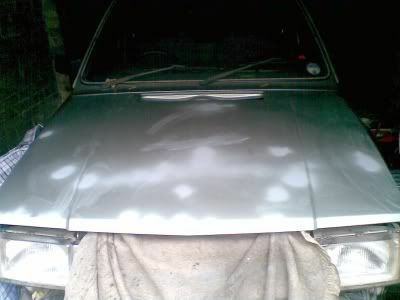 A bit of patching is done to the front valance in readiness for the imminent econo tin can-style spray-up. 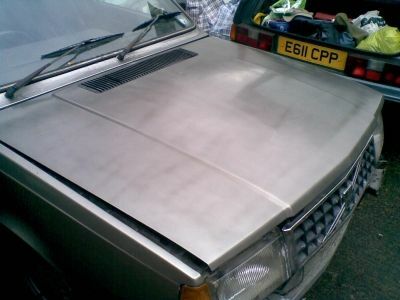 The bonnet is given a clean and a light rub-down with emery while the tiny rusty bits are given a heavy rub to reveal bare metal that is given a light spray with primer, as below. 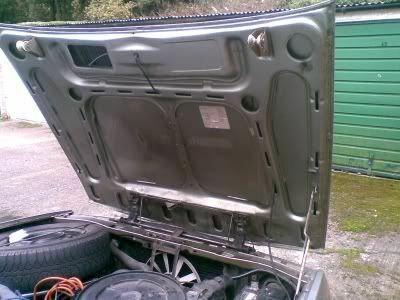 Looks like its going to be safer to spray the bonnet with it horizontal to mimimise the chance of the paint running so fingers crossed for the weekend. Awesome stuff. 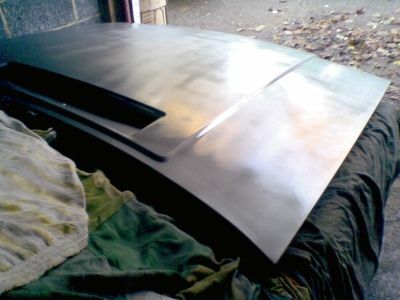 Early Nov 2012 and an initial bash at spraying the bonnet is disappointing due to the roughness of the resulting surface but attempts to smooth it with emery the following day were reasonably successful. Another spray over with a slightly more generous dose of paint seems to give a better surface (above and below) which I hope will flatten down nicely with emery for a coat of laquer. Meanwhile, the epically frustrating problems with Blue Bess's ignition return so, in despair, I am fitting a new fuse box which has been waiting in the wings for a number of years, since this problem is almost certainly caused by a dodgy contact on the back of the fusebox where one of the bullet connectors seems to have pulled-back from its rightful place, presso due to melting of the plastic. Still in early Nov 2012 and Blue Bess *IS* stress. After much fiddling with connection blocks, relays, fuses and a test lamp in every moment of my spare time that I can muster I reach the following conclusions: (a) the ignition trouble is caused by a dodgy connection block on the ignition switch, since re-tightening the internal clip connectors allows the ignition lights to come on, etc, (b) the 'brand new' fuse box does not work, since, although the ignition appears to come on, there is no current getting to the starter motor solenoid, so the car will not start (just possible that I bought it from someone passing on a dud) , and (c) the brand new relays that I bought a couple of months ago are all the wrong sort ('normally on' rather than 'normally off'). So, another search in the roof to find yet another spare fuse box turns-up one that looks pretty grubby but it came from a good source and might just be a bit better. 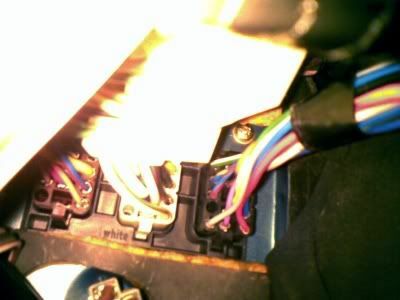 This 'new' fusebox was fitted with much cursing (while lying in the driver's footwell with multiple failing torches) and re-stocked with fuses. 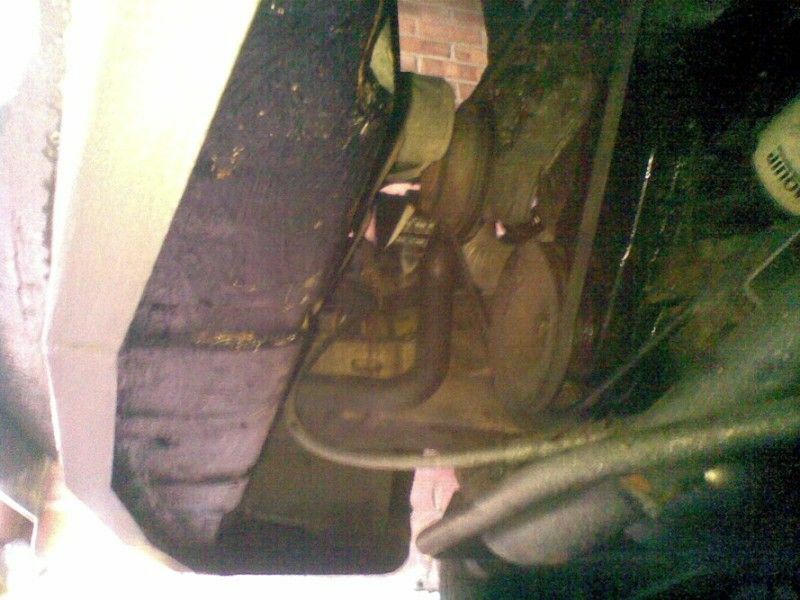 Now, and finally, now, the car starts well; so I am hoping (not optimistically), once again, that this matter has been resolved. 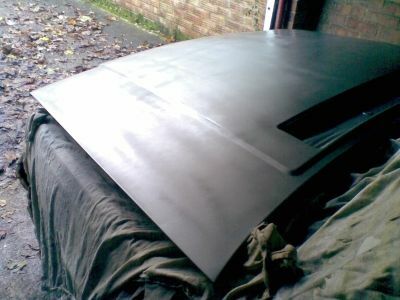 Its mid-Nov 2012 and the newly-laquered bonnet has been given another round of flatting, a colour-cut and a polish to reasonably good effect. Its deffo not perfect, but I think it will do for now. 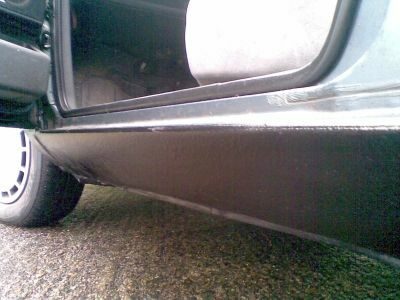 The front valance and the offside sill have been painted by hand - its all low-down paintwork on underseal, so it doesn't have to be brilliant, but the end-result looks pretty OK, in my unbiased opinion. The low-down bits just need a bit of laquer, the new wing needs its old pin-stripe rubbed off and then it can all start going back together again. 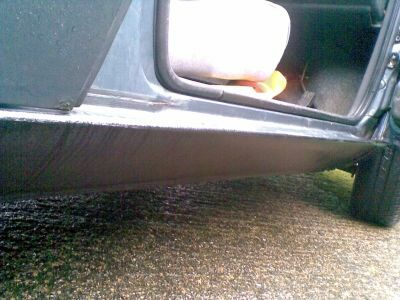 A bit of laquer sprayed on the front valance and newly re-painted sill brings them out looking quite nice. 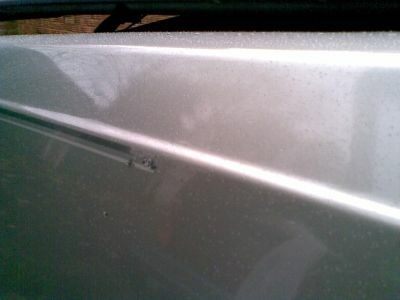 A happy hour was spent in the rain scraping off the pinstripe on the 'new' front wing. Meanwhile the blue basket case continues on as relatively reliable transport into the late, sepia-coloured Autumn. 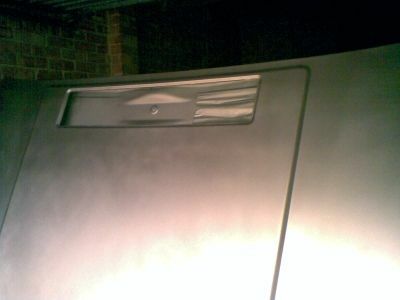 The last weekend of November 2012 sees the inside of the front valance of the grey 340 given a couple of coats of thick black waxoyl underseal, the mudflaps re-fitted, the engine splash-tray re-fitted, the struts given some waxoyl, the front bumper and headlight washers re-fitted and the blue basket given a much-needed oil and air-filter change. 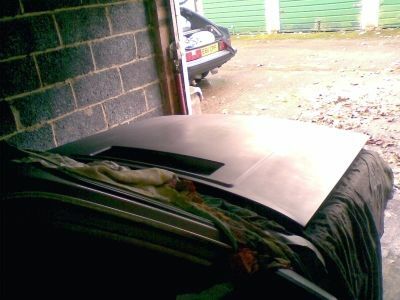 The first week in December 2012 sees the grey basket given a bit of a clean-up (under-bonnet and inside front) , the falling-off trim on one side given a bit of superglue to stick it back on, the binding rear hand-brake was released and the battery a re-charge. A bit more flatting of the bonnet gives a bit better surface to the paintwork and the car has been booked in for work on the rear wheel arches. 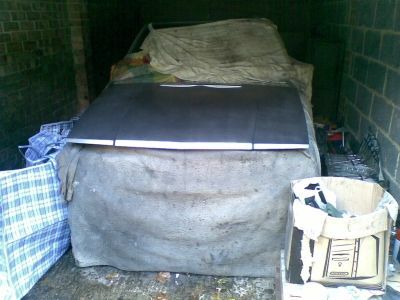 Mid-to-late December 2012 and Blue Bess is having an epic time due to failing the MOT on the rust-ridden sills which prompted the garage to advise "just bin it, its a tea bag". 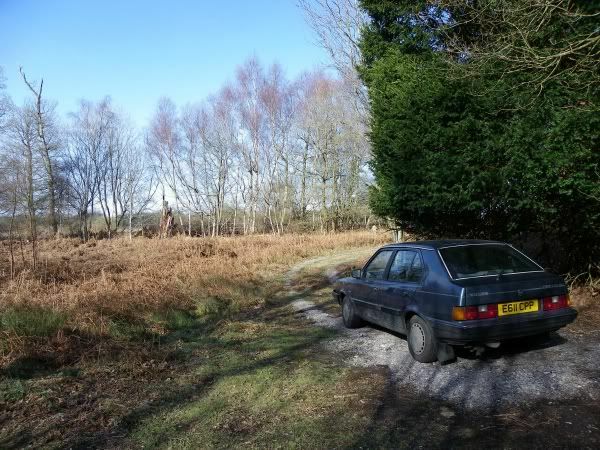 Despite their protestations she is taken round to the new welding type-of-person who, instead of repairing the rear arches on the grey basket, cuts out the old sills and welds in new ones on the blue. 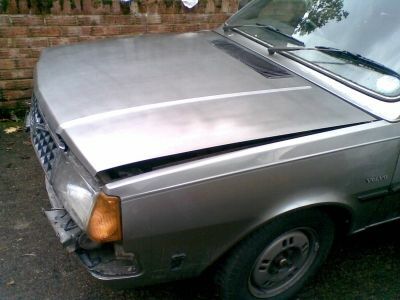 In spite of warning me that he had to weld-in bits of angle-iron here and there, after 3 days the finished product is all pretty epic stuff and the car sails through the last-minute re-run of the MOT just within the 10-day period. 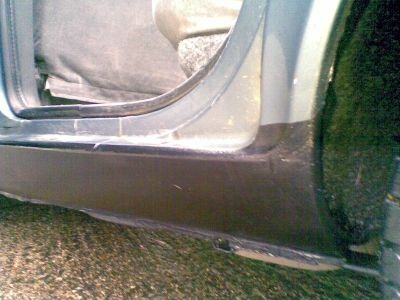 The next few slots of spare time will be spent on re-painting the new sills by hand. 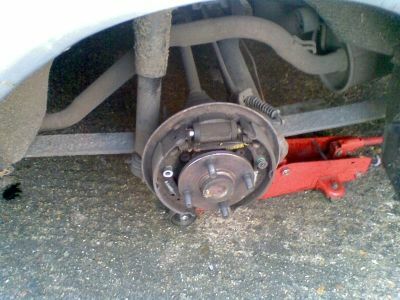 The rear brakes are given a clean-out and the hand-brake adjusted.